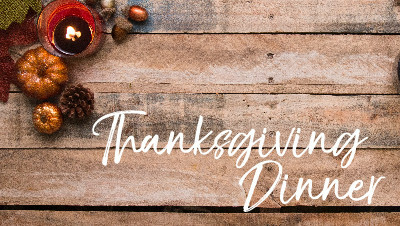 Thanksgiving Dinner is a time for families to come together and enjoy a delicious Thanksgiving meal and enjoy family-friendly entertainment. This year Bob Smiley will be the entertainment for the dinner! Registration closes Sunday, November 11th. Get signed up today.